We've included listings for companies such as Dunberry Hill Designs and Gracewood Design inside our Floor Cloths guide. 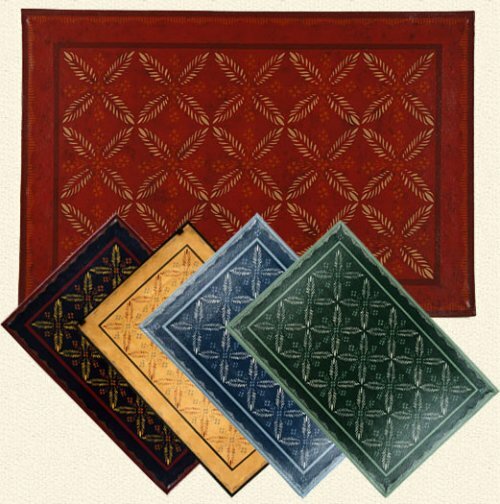 Company specializes in hand painted linens, coasters, floorcloths & wall hangings in period styles. Online source of difficult-to-find canvas for floorcloths and murals, primed or unprimed. This company makes printed mats and floorcloths from non-woven, recycled material.